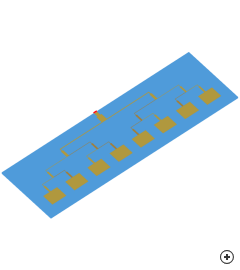 Image of the N-by-1 patch array. 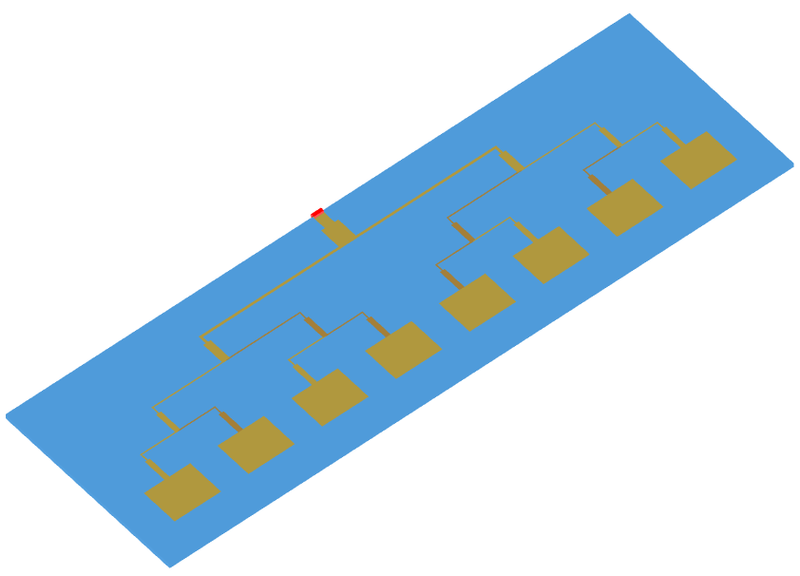 The N-by-1 patch array combines the design of the individual patch elements in the array, with the design of a corporate feed network realised in microstrip. A unique feature of this antenna is that the number of patches can be chosen as 2, 4, 8, 16, 32 or 64, allowing the user to design for gains ranging from 8 to 20 dBi. The design includes a practical corporate feed network, implemented using realistic microstrip line dimensions. 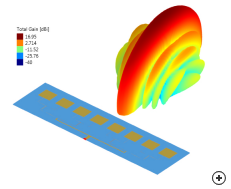 The radiation pattern of an 8 element linear patch array with a corporate feed network. The two dimensional nature of planar arrays results in versatile structures, which are able to provide specified radiation patterns with low side lobes. Applications include, amongst others, tracking and search radars, altimeters, remote sensing, terrestrial and aerospace communication systems.